First Quilt Top of 2015! I managed to surprise myself by finishing a quilt top yesterday - the first one of 2015! Normally I don't keep track of what I make in any particular year, but I thought it might be fun to do so this year. 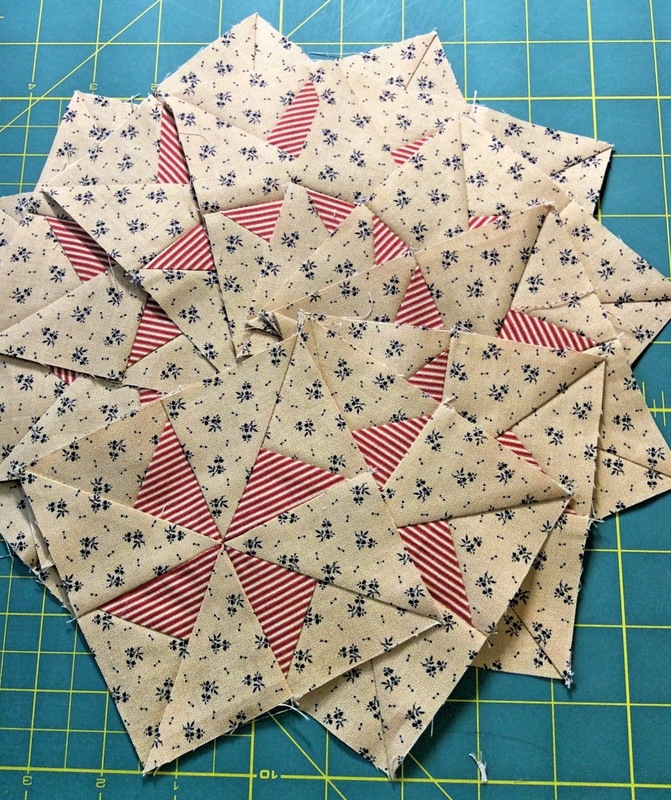 The quilt started out with these pinwheels. Tedious little buggars, but blocks like this keep you on your toes in terms of accuracy and for those that know me, accuracy is the name of the game! It then progressed to these pretty rows. Tah Dah...a finished quilt top. It's called Hometown USA, measures 27 x 31, and was a kit from one of my top favorite shops - the Country Sampler in Spring Green, Wisconsin. The outer border may look black on your computer, but it is actually a rich, dark blue. I make a lot of small quilts this size to throw over the back of chairs and the couch in the living room. Gracie May and Sasha love laying on top of them and we love that they protect the furniture from little kitty claws! Some time back Stephanie at Rummage asked me to test a new bag design for her. Of course I said yes as soon as I saw it! I knew I had the perfect fabric, too - something I had bought while we were in Portland together in the Spring of 2013, Tim Holtz's Eclectic Elements. Here is Stephanie's new design, AJ - which is named for the first initials of her two children, Allison and James. 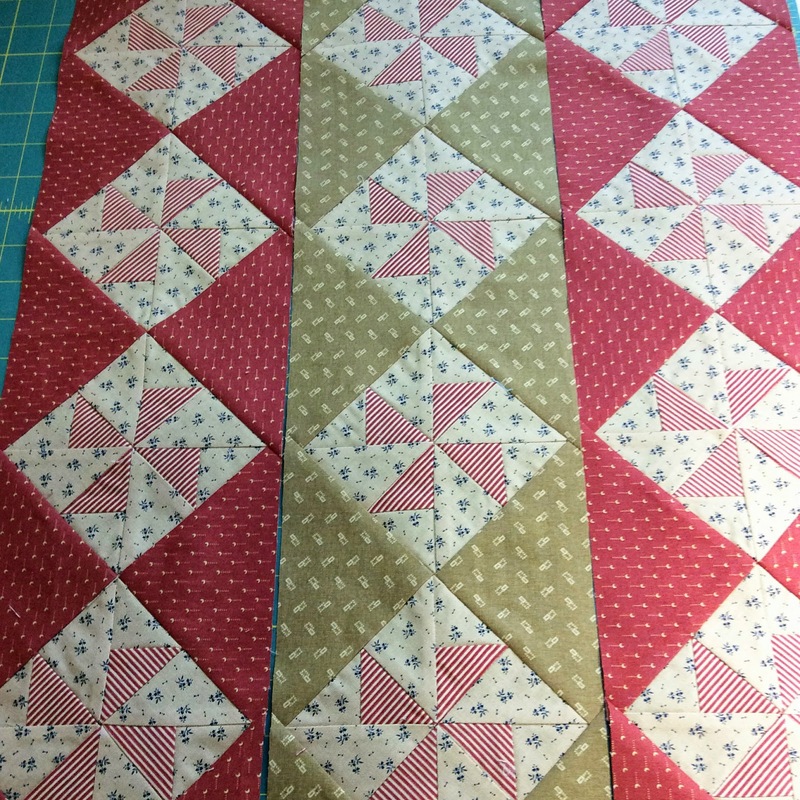 This design goes together very fast with just 6 fat quarters. How many of us have at least 6 fat quarters lying around our sewing rooms? (I'm still working on the photo editing in my new iMac, so the colors may be a bit off.) 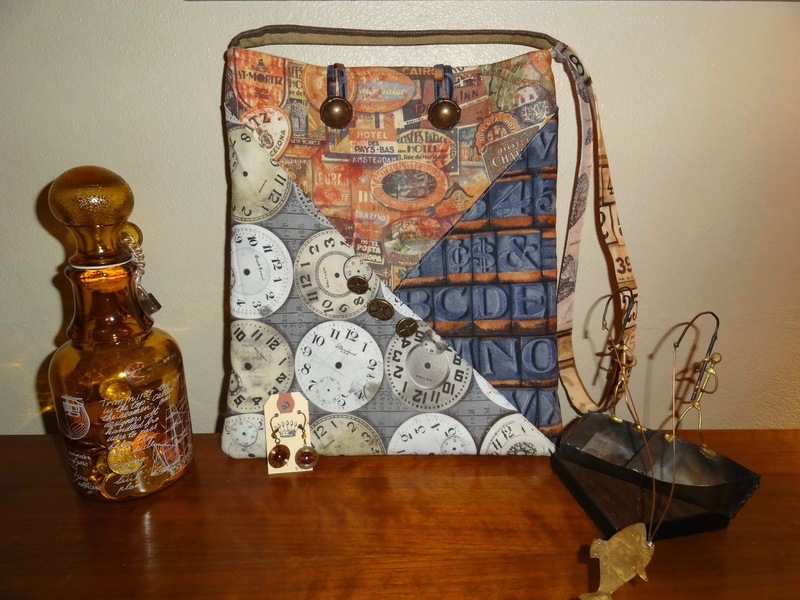 I love the "Steampunk" fabric and used a few of Mr. Squash's goodies as props. Stephanie even sent me a pair of earrings with a Steampunk style to go with the bag! This is the back. Such fun and versatile fabric! You can find the PDF patter HERE on the Connecting Threads website and they also have a kitted version of it HERE. 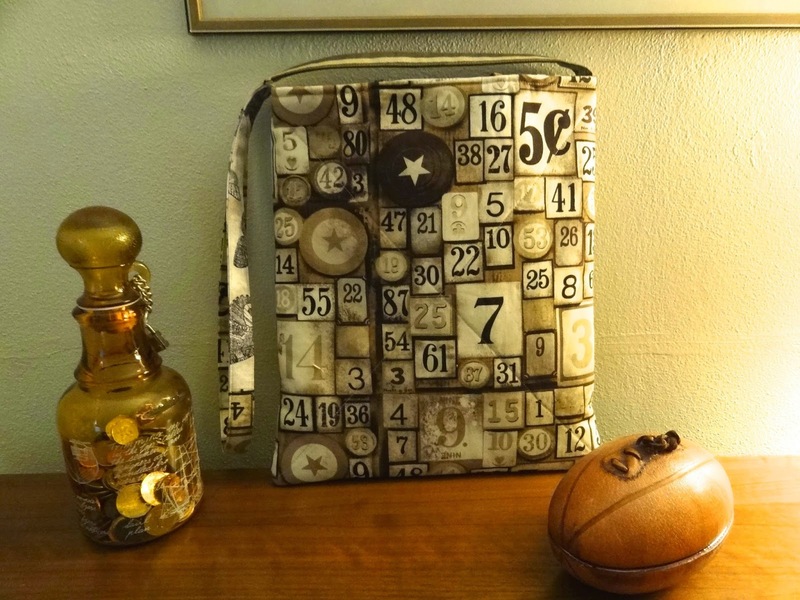 Do visit Stephanie over at Rummage and have a look at two version of the bag she made. You can also see her "Confetti" quilt pattern that Connection Threads has kitted as well. A New Year, A New Quilt! Tap tap....anyone there? Thanks for those of you who have inquired if all is well at The Squash House! I'm still here. If you're looking for me lately, you can find me on Instagram as "mrssquash". I recently made the Big Move from PC to Apple with the purchase of an iMac. The learning curve has been a bit of a challenge, particularly when it comes to uploading and editing photos. Please forgive me for the photos in this post. My favorite Picasa program has now been taken over by Google+ and it isn't anywhere near as easy as it was to edit photos. With time I'm sure I'll get better. I finally finished quilting and binding this quilt. It's called Flight of Fancy by Crabapple Hill. Mr. Squash bought it for me not long after we retired to The Squash House. I love sitting in the evenings and with some handwork, and these patterns really fit the bill for me. I used a variety of fabrics both in the stitcheries and the quilt blocks. The stitchery fabrics are antiqued muslins and several different shades. The darkest show up pretty yellow in my photos, but they don't look that way in person. I so wish we had Cardinals in our neck of the woods. We have lots of Robins which are my favorite bird. After I was confirmed as a young girl, we were all out in the play yard of the church in our little white dresses and veils. Suddenly a robin flew down and landed on my shoulder. It stayed there for quite a while and we were all stunned! The nuns were over the moon and told me it was my guardian angel. How sweet is that! We have lots of Chickadee's here. Sasha and Gracie May stake out windows spots every morning to watch them! Many times we see them racing from window to window hoping to "catch" one. Every year a flock of Cedar Waxwing's visits our European Cranberry bush for about two weeks. They feed on the berries then leave, not to be seen again until the next year. This is a large quilt - 77 x 77! 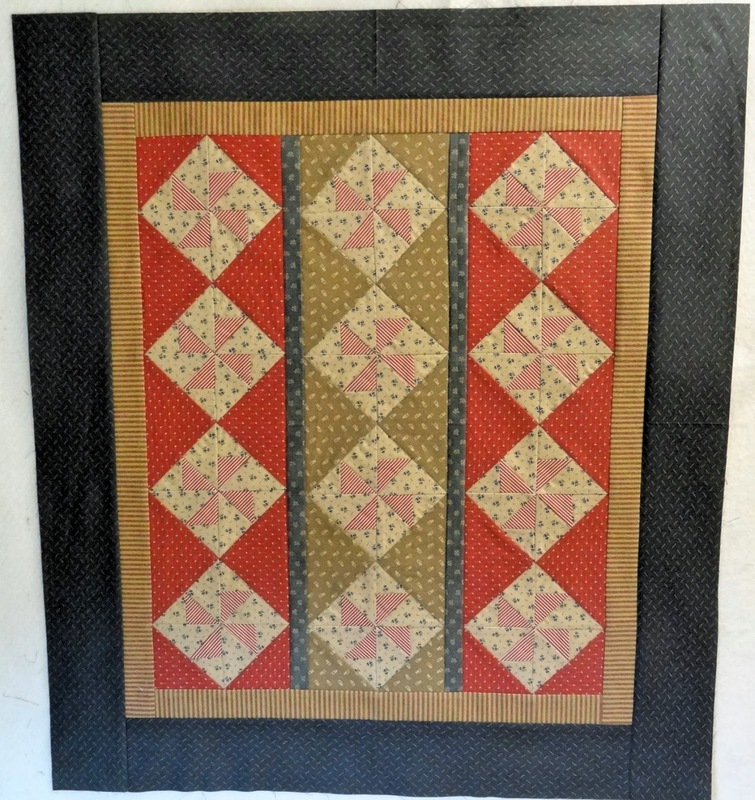 I used an edge to edge design to kept it simple, and used Quilter's Dream wool for batting. Time for a new stitchery quilt!